Simple. Elegant. Traditional. 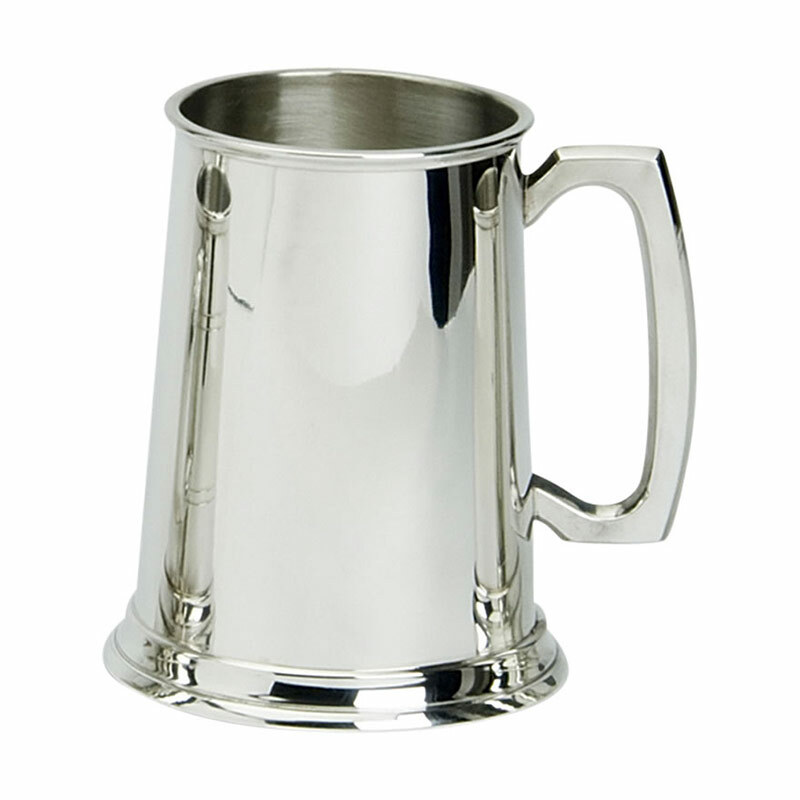 These fine quality 1PT pewter tankards feature a plain body with straight sides, and a large, 'square' shaped handle. These traditional English pewter tankards are made in England and are supplied as standard with a plain black presentation box with the word 'pewter' printed on the front. We also offer, as an optional extra, a luxury, fully lined presentation box. Ideal as corporate gifts or for recognition and achievement awards, these traditional pewter tankards are offered with free engraving of text and logos.